Unlike traditional reviews that you just read, we mine the data to help you understand your team better. Each dataset that you generate is compared with your own historical data to help you truly assess your business performance. 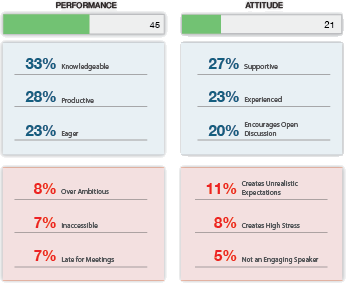 Analysis of individual as well as department strengths and weaknesses, including ranks within your department. 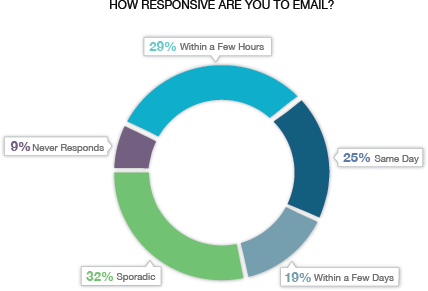 Wouldn't it be nice to know who is considered most "technology-savvy" or "approachable"? 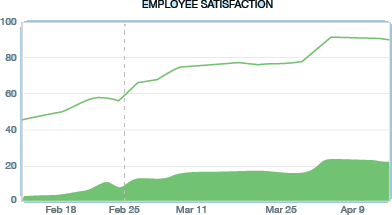 You can track how satisfaction scores change (similar to the stock market) by department or by individual, and see how it correlates to company events. This can also be used to compare departments and individuals against each other. 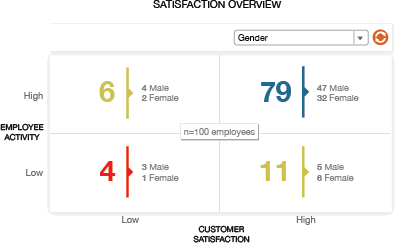 Our dashboard contains valuable information about your entire team including hard to quantify skills and traits that you have been missing with traditional reviews and surveys.